Contained Identity draws upon ideas of home, isolation and sense of place. It speaks broadly of the connection one has to their homeland and how that affects our personality. 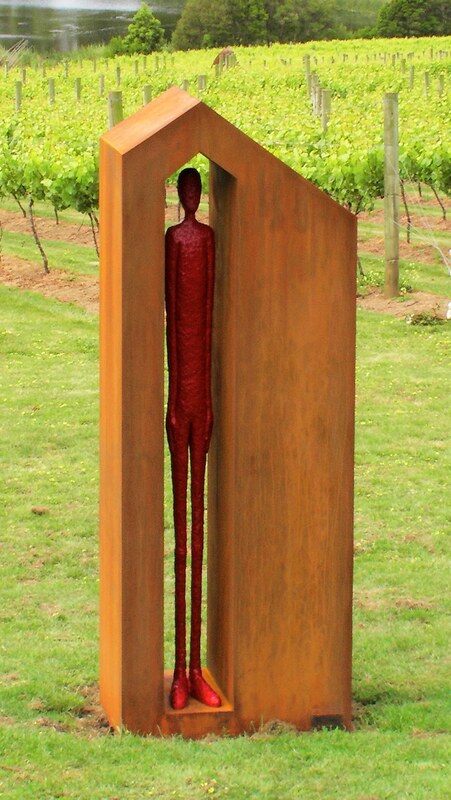 The portal in the sculpture connects the past to the future, as the solitary figure stands contained in private contemplation.